These Classes are designed for those who want to experience everything Dungeon of Discipline Gym has to offer. Discover how 2 dumbbells can develop your muscles, burn body fat, develop your strength, and increase your cardiovascular endurance. Learn and master these techniques on a weekly basis with a certified personal trainer / Instructor. There is a minimum of 2 people per class. Space is limited to 5 people per class. The Stretch class is a small class (4 –6 people) where you learn the ins and outs of self stretching & assisted stretching. Self Stretching – Using your own resistance to stretch and strengthen your body. Significant changes in each others strength and flexibility. Each session will be very hands-on. Expect to work hard and also have a lot of fun interacting with a group of people that all came together to support each other. Stretching can bridge a person into entire new ways of being for them, whether its physical, spiritual, emotional or psychological. These sessions are open to people of all levels and professions and the only pre-requisite is an interest ! Growth at a hyper accelerated rate. In a way that’s and analogues to circuiting sets of flat bench press, incline bench press, and chest flies to sculpt a well- rounded chest. Our circuit class is a series of strength or cardio exercises (or both) repeated two or three times with little or no rest between sets. Lead by one of our certified trainers / instructors. Circuit training is a great boredom buster. Moving quickly from one exercise to the next means your mind doesn’t have time to wonder or tune out. An all-strength circuit burns 30 percent more calories (about 9 per minute!) Then a typical weight training workout and offers more cardio benefits. A circuit that combines cardio and strength moves will blast fat and sculpt muscles. It can also burn unto 10 calories a minutes. SKU: Group_Training_Single-Personal-Training. 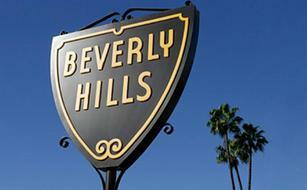 Categories: Beverly Hills Package, Group Training Session.